Ripped denims feel like my second skin & I have been caught painting the town red in them even at work. 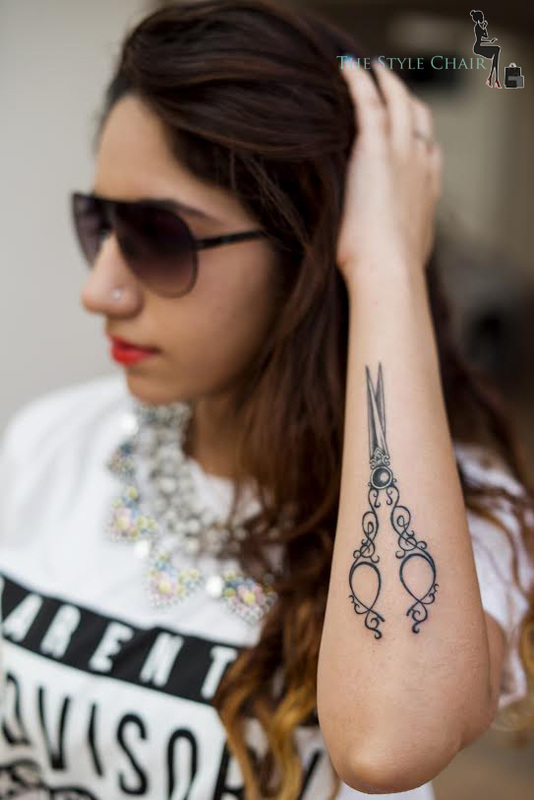 Talking of work I just completed 8 years of being a Hairstylist & I finally got myself a much awaited Scissor Tattoo. Its The most artistic tattoo I have. Watch it! Beacuse I know alot of jaws are going to drop. 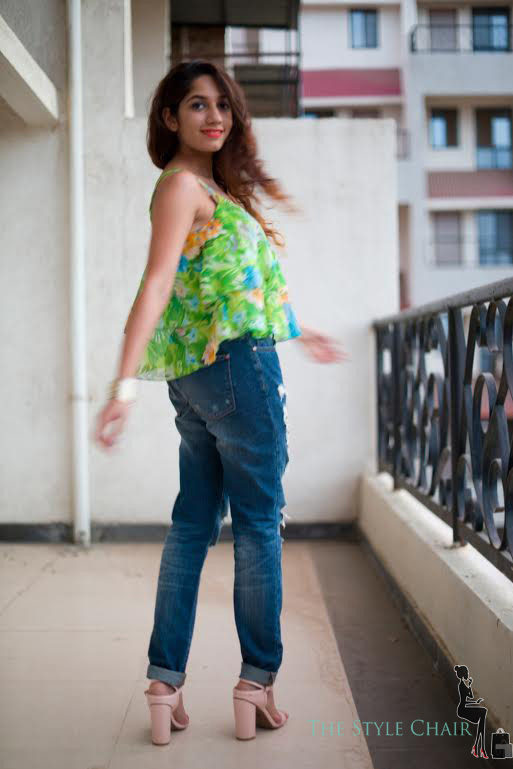 As promised last month in my Street Style post from Mumbai, I’m here with Different ways of Styling Ripped Denims. So How do you want to Wear your Ripped Denims? Yes I’m going to do the cliché first! Ripped denims & a tee. My Dr. Martens definitely add that grunge look. Can you ever go wrong with the classics? No! So in the day even a plain white top can make a big statement with a pair of blue ripped denims. What If you had to head out for dinner & didn’t have the time to change? 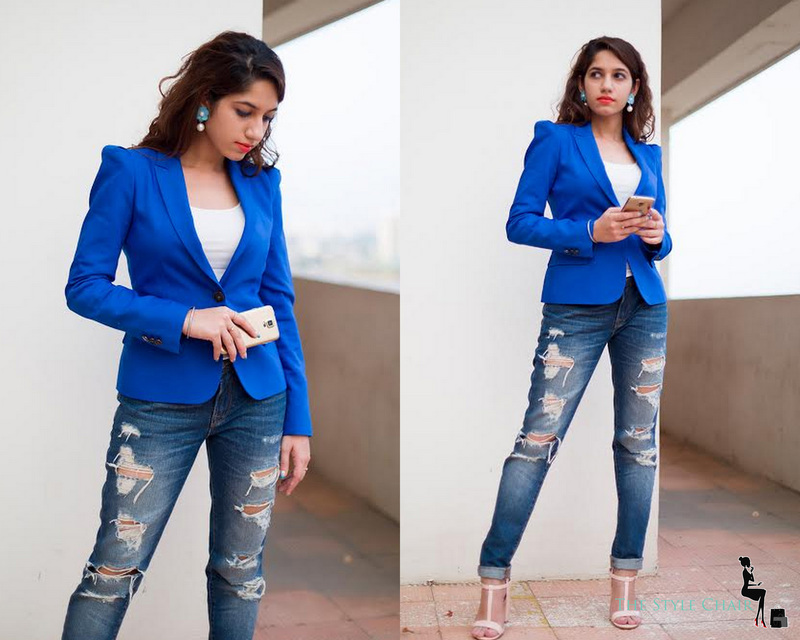 Get CHIC in a giffy & opt for a well structured blazer to throw on. The contrast in the uppers & lowers giving that eclactic touch is what makes this my favourite look. 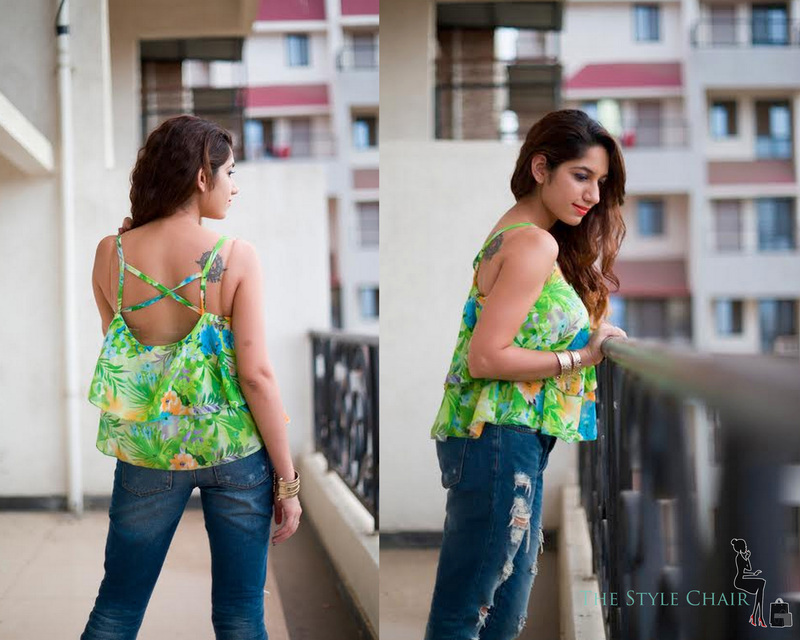 TSC Styling Tip– Pair your Ripped Denims with Box cut tops & Flared tops for a unique look too! 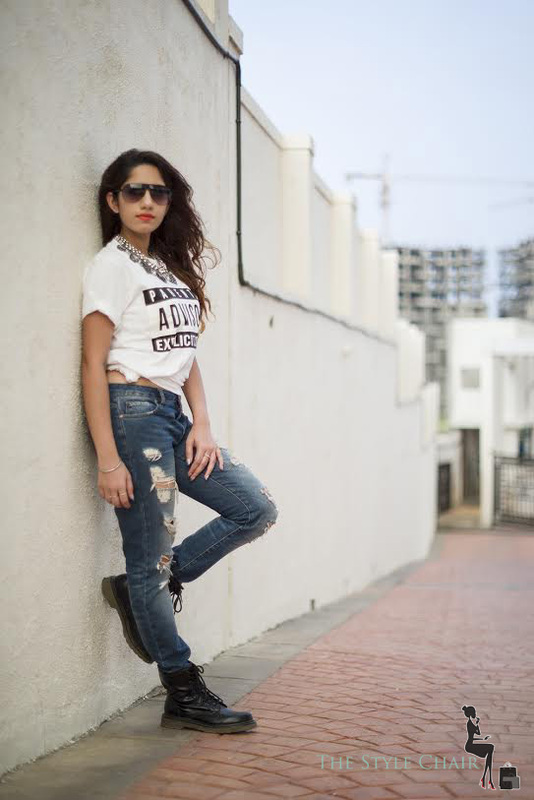 Ripped Denims– Forever 21 and FYI even Zara & Vero Moda had ripped denims. Even in my post on Lee Cooper I had showcased their ripped denims.